So I watched the Days of the future past this year and enjoyed it a lot! 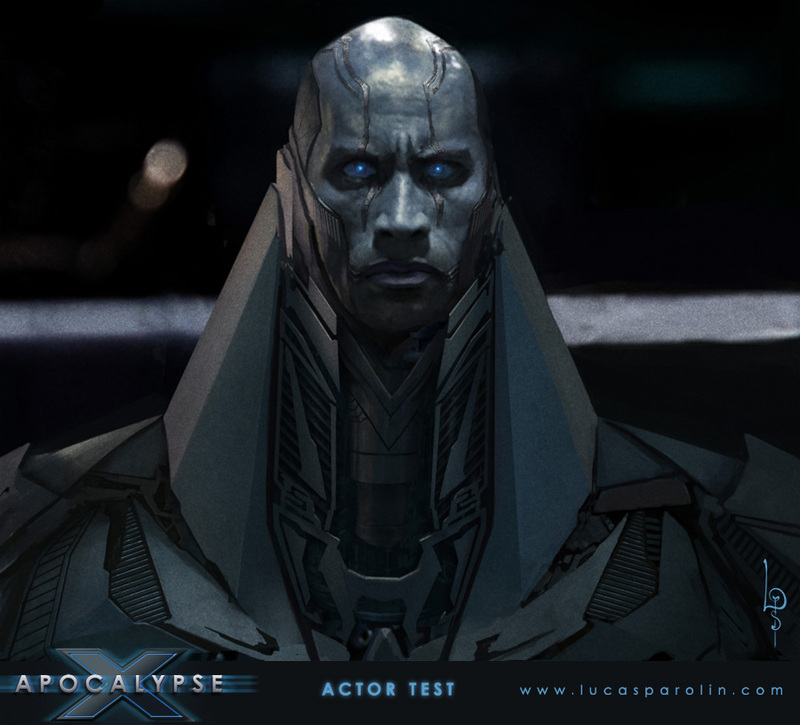 After the end credits I was wondering about the next movie, Apocalypse. As a child I was fascinated by this villain and I started to imagine how they would design him for the big screen. 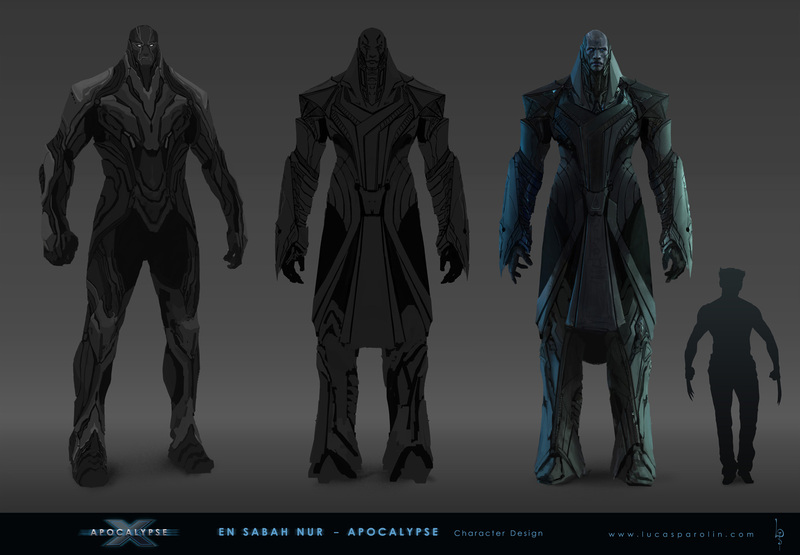 So after that, my friend called me to do a concept art contest in which we should re-design Marvel or DC characters... Then immediately I thought: I could re-design Apocalypse to a "movie" version! Instead of waiting until 2016 I decided to do my own version of him. I started with some sketches trying to keep true to the design that were already established. I know that most of the fans want to see the character look as close as possible to the originals. (Sometimes I have the same feeling towards some adaptations). Nevertheless, Apocalypse has seen many variations, so I took some liberty... Soon I realized that he needed some major adaptation, because the visuals that may work on Comics or even Games not always works on movies. If I did it similar to the comics, he could look not as serious as he supposed to be and appear like a real threat. So I decided to focus on the "Alien" side of him. On the ancient Egypt he finds an alien technology and fuses himself with it, therefore, augmenting his powers. So I began to aim towards the alien thing... Also one of his powers is "molecular self manipulation" which means he can shape-shift! So I created this stripes and plates that could expand and change to become weapons and stuff. I wasn't happy with the design so I decided to focus also on his Egyptian origins, making a "Alien High tech + Egypt". 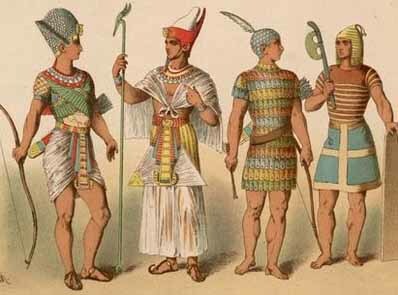 So for that I try to use some ideas from Egyptian costumes and also focus on some triangle shapes, which are very remarkable because of the pyramids. 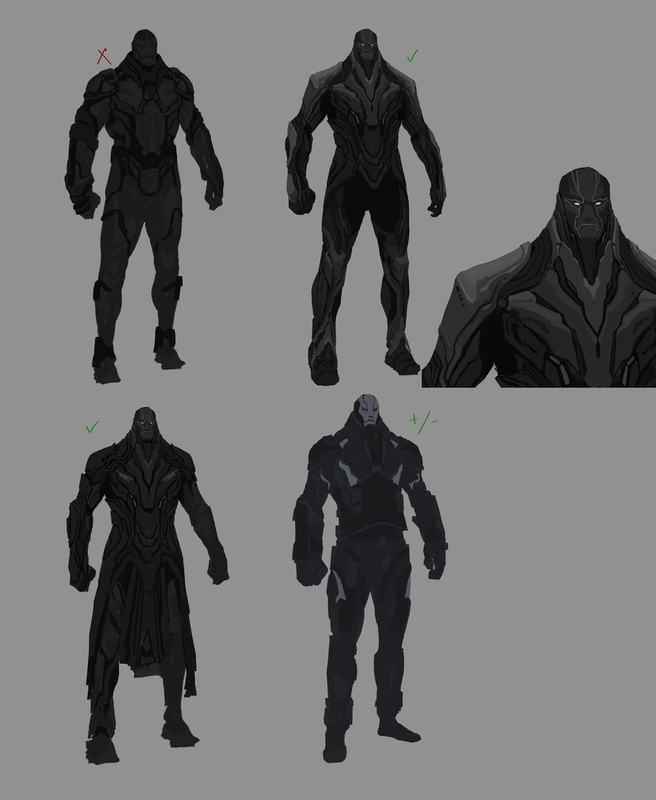 I believe that was a better direction because the "Alien idea" one was more generic and this character needs to look unique. So after that I moved to the illustration piece. 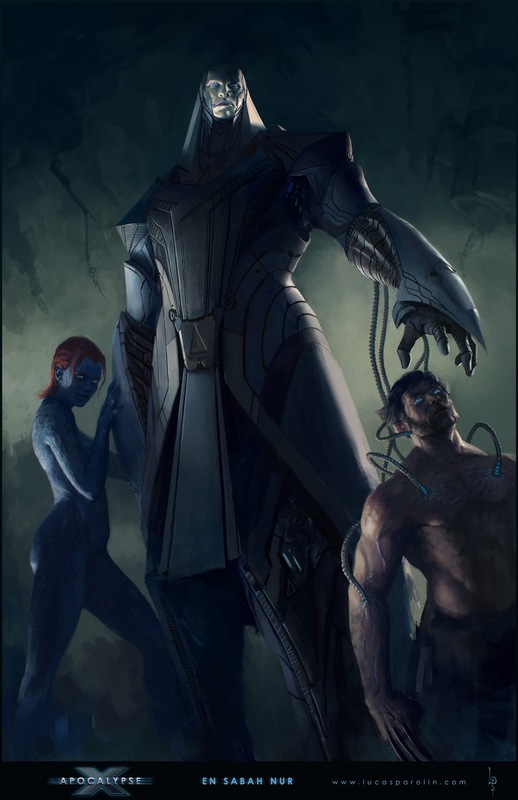 On the animated series, Mystique joins apocalypse and I believed that could be a good idea for the movie as well. I don't know, I'm a little confused, should I be posting this in english ou em português, eu não sei rs, o site é todo gringo, cara virei teu fã, teu trabalho é fod@! I'm terribly disappointed that Hollywood did not hire you as the lead artist for the new Xmen film. You're take on Apocalypse is well done. What a wonderful job Lucas. It is a villain so we XMEN fans we expected. Have any page on facebook to enjoy? Thank you very much! Glad you like it. Cool jackets man!